In my previous post on this topic, I brought up concerns regarding the paucity of useful information in EI SLP reports for children under 3 years of age and made some constructive suggestions of how that could be rectified. In 2013, I had written about another significant concern, which involved neurodevelopmental pediatricians (rather than SLPs), diagnosing Childhood Apraxia of Speech (CAS), without the adequate level of training and knowledge regarding motor speech disorders. Today, I wanted to combine both topics and delve deeper into another area of EI SLP evaluations, namely, assessments of toddlers with suspected motor speech disorders. Firstly, it is important to note that CAS is disturbingly overdiagnosed. A cursory review of both parent and professional social media forums quickly reveals that this diagnosis is doled out like candy by both SLPs and medical professionals alike, often without much training and knowledge regarding the disorder in question. The child is under 3, has a limited verbal output coupled with a number of phonological processes, and the next thing you know, s/he is labeled as having Childhood Apraxia of Speech (CAS). But is this diagnosis truly that straightforward? Let us begin with the fact that all reputable organizations involved in the dissemination of information on the topic of CAS (e.g., ASHA, CASANA, etc. ), strongly discourage the diagnosis of CAS in children under three years of age with limited verbal output, and limited time spent in EBP therapy specifically targeting the remediation of motor speech disorders. Assessment of motor speech disorders in young children requires solid knowledge and expertise. That is because CAS has a number of overlapping symptoms with other speech sound disorders (e.g., severe phonological disorder, dysarthria, etc). Furthermore, symptoms which may initially appear as CAS may change during the course of intervention by the time the child is older (e.g., 3 years of age) which is why diagnosing toddlers under 3 years of age is very problematic and the use of “suspected” or “working” diagnosis is recommended (Davis & Velleman, 2000) in order to avoid misdiagnosis. Finally, the diagnosis of CAS is also problematic due to the fact that there are still to this day no valid or reliable standardized assessments sensitive to CAS detection (McCauley & Strand, 2008). In March 2017, Dr. Edythe Strand wrote an excellent article for the ASHA Leader entitled: “Appraising Apraxia“, in which she used a case study of a 3-year-old boy to describe how a differential diagnosis for CAS can be performed. She reviewed CAS characteristics, informal assessment protocols, aspects of diagnosis and treatment, and even included ‘Examples of Diagnostic Statements for CAS’ (which illustrate how clinicians can formulate their impressions regarding the child’s strengths and needs without explicitly labeling the child’s diagnosis as CAS). Today, I’d like to share what information I tend to include in speech-language reports geared towards the assessing motor speech disorders in children under 3 years of age. I have a specific former client in mind for whom a differential diagnosis was particularly needed. Here’s why. This particular 30-month client, TQ, (I did mention that I get quite a few clients for assessment around that age), was brought in due to parental concerns over her significantly reduced speech and expressive language abilities characterized by unintelligible “babbling-like” utterances and lack of expressive language. All of TQ’s developmental milestones with the exception of speech and language had been achieved grossly at age expectancy. She began limitedly producing word approximations at ~16 months of age but at 30 months of age, her verbal output was still very restricted. She mainly communicated via gestures, pointing, word approximations, and a handful of signs. Interestingly, as an infant, she had a restricted lingual frenulum. However, since it did not affect her ability to feed, no surgical intervention was needed. Indeed, TQ presented with an adequate lingual movement for both feeding and speech sound production, so her ankyloglossia (or anterior tongue tie) was definitely not the culprit which caused her to have limited speech production. Prior to being reevaluated by me, TQ underwent an early intervention assessment at ~26 months of age. She was diagnosed with CAS by an evaluating SLP and was found to be eligible for speech-language services, which she began receiving shortly thereafter. However, Mrs. Q noted that TQ was making very few gains in therapy and her treating SLP was uncertain regarding why her progress in therapy was so limited. Mrs. Q was also rather uncertain that TQ’s diagnosis of CAS was indeed a correct one, which was another reason why she sought a second opinion. Assessment of TQ’s social-emotional functioning, play skills, and receptive language (via a combination of Revised Westby Play Scale (Westby, 2000), REEL-3, & PLS-5) quickly revealed that she was a very bright little girl who was developing on target in all of the tested areas. Assessment of TQ’s expressive language (via REEL-3, PLS-5 & LUI*), revealed profoundly impaired, expressive language abilities. But due to which cause? Despite lacking verbal speech, TQ’s communicative frequency (how often she attempted to spontaneously and appropriately initiate interactions with others), as well as her communicative intent (e.g., gaining attention, making requests, indicating protests, etc), were judged to be appropriate for her age. She was highly receptive to language stimulation given tangible reinforcements and as the assessment progressed she was observed to significantly increase the number and variety of vocalizations and word approximations including delayed imitation of words and sounds containing bilabial and alveolar nasal phonemes. TQ’s oral peripheral examination yielded no difficulties with oral movements during non-speaking as well as speaking tasks. She was able to blow bubbles, stick out tongue, smile, etc as well as spontaneously vocalize without any difficulties. Her voice quality, pitch, loudness, and resonance during vocalizations and approximated utterances were judged to be appropriate for age and gender. Her prosody and fluency could not be determined due to lack of spontaneously produced continuous verbal output. TQ’s speech intelligibility in known and unknown contexts was profoundly reduced to unfamiliar listeners. However, her word approximations were consistent across all productions. However, by this time I had already formulated a working hypothesis regarding TQ’s speech production difficulties. Based on her speech sound assessment TQ presented with severe phonological disorder characterized by restricted sound inventory, simplification of sound sequences, as well as patterns of sound use errors (e.g., predominance of alveolar /d/ and nasal /n/ sounds when attempting to produce most word approximations) in speech (Stoel-Gammon, 1987). I felt that the diagnosis of CAS was not applicable because TQ lacked a verbal lexicon and no specific phonological intervention techniques had been trialed with her during the course of her brief therapy (~4 months) to elicit word productions (Davis & Velleman, 2000; Strand, 2003). While her EI speech therapist documented that therapy has primarily focused on ‘oral motor activities to increase TQ’s awareness of her articulators and to increase imitation of oral motor movements’, I knew that until a variety of phonological/motor-speech specific interventions had been trialed over a period of time (at least ~6 months as per Davis & Velleman, 2000) the diagnosis of CAS could not be reliably made. I still, however, wanted to be cautious as there were a few red flags I had noted which may have potentially indicative of a non-CAS motor speech involvement, due to which I wanted to include some recommendations pertaining to motor speech remediation. Now it is possible that after 6 months of intensive application of EBP phonological and motor speech approaches TQ would have turned 3 and still presented with highly restricted speech sound inventory and profoundly impaired speech production, making her eligible for the diagnosis of CAS in earnest. However, at the time of my assessment, making such diagnosis in view of all the available evidence would have been both clinically inappropriate and unethical. So what were my recommendations you may ask? Well, I provisionally diagnosed TQ with a severe phonological disorder and recommended that among a variety of phonologically-based approaches to trial, an EBP approach to the treatment of motor speech disorders be also used with her for a period of 6 months to determine if it would expedite speech gains. *For those of you who are interested in the latest EBP treatment for motor speech disorders, current evidence supports the use of the Rapid Syllable Transition Treatment (ReST). ReST is a free EBP treatment developed by the SLPs at the University of Sydney, which uses nonsense words, designed to help children coordinate movements across syllables in long words and phrases as well as helps them learn new speech movements. It is, however, important to note for young children with highly restricted sound inventories, characterized by a lack of syllable production, ReST will not be applicable. For them, the Integral Stimulation/Dynamic Temporal and Tactile Cueing (DTTC) approaches do have some limited empirical support. I also made sure to make a note in my report regarding the inappropriate use of non-speech oral motor exercises (NSOMEs) in therapy, indicating that there is NO research to support the use of NSOMEs to stimulate speech production (Lof, 2010). In addition to the trialing of phonological and motor based approaches I also emphasized the need to establish consistent lexicon via development of functional words needed in daily communication and listed a number of examples across several categories. I made recommendations regarding select approaches and treatment techniques to trial in therapy, as well as suggestions for expansion of sounds and structures. Finally, I made suggestions for long and short term therapy goals for a period of 6 months to trial with TQ in therapy and provided relevant references to support the claims I’ve made in my report. You may be interested in knowing that nowadays TQ is doing quite well, and at this juncture, she is still, ineligible for the diagnosis CAS (although she needs careful ongoing monitoring with respect to the development of reading difficulties when she is older). Now I know that some clinicians will be quick to ask me: “What’s the harm in overdiagnosing CAS if the child’s speech production will still be treated via the application of motor speech production principles?” Well, aside from the fact that it’s obviously unethical and can result in terrifying the parents into obtaining all sorts of questionable and even downright harmful bunk treatments for their children, the treatment may only be limitedly appropriate, and may not result in the best possible outcomes for a particular child. To illustrate, TQ never presented with CAS and as such, while she may have initially limitedly benefited from the application of motor speech principles to address her speech production, shortly thereafter, the application of the principles of the dynamic systems theory is what brought about significant changes in her phonological repertoire. That is why the correct diagnosis is so important for young children under 3 years of age. But before it can be made, extensive (reputable and evidence supported) training and education are needed by evaluating SLPs on the assessment and treatment of motor speech disorders in young children. Davis, B & Velleman, S (2000). Differential diagnosis and treatment of developmental apraxia of speech in infants and toddlers”. The Transdisciplinary Journal. 10 (3): 177 – 192. Lof, G., & Watson, M. (2010). 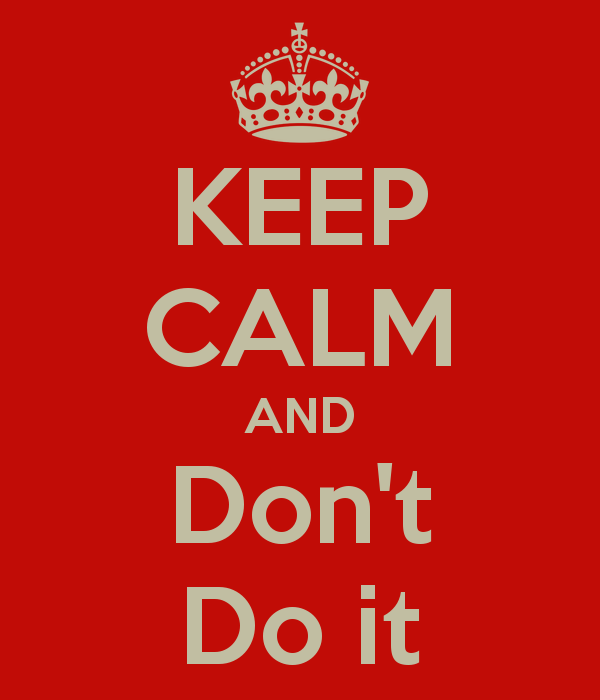 Five reasons why nonspeech oral-motor exercises do not work. Perspectives on School-Based Issues, 11.109-117. McCauley RJ, Strand EA. (2008). A Review of Standardized Tests of Nonverbal Oral and Speech Motor Performance in Children. American Journal of Speech-Language Pathology, 17,81-91. McCauley R.J., Strand E., Lof, G.L., Schooling T. & Frymark, T. (2009). Evidence-Based Systematic Review: Effects of Nonspeech Oral Motor Exercises on Speech, American Journal of Speech-Language Pathology, 18, 343-360. Murray, E., McCabe, P. & Ballard, K.J. (2015). A Randomized Control Trial of Treatments for Childhood Apraxia of Speech. Journal of Speech, Language and Hearing Research 58 (3) 669-686. Stoel-Gammon, C. (1987). Phonological skills of 2-year-olds. Language, Speech, and Hearing Services in Schools, 18, 323-329. Strand, E (2003). Childhood apraxia of speech: suggested diagnostic markers for the young child. In Shriberg, L & Campbell, T (Eds) Proceedings of the 2002 childhood apraxia of speech research symposium. Carlsbad, CA: Hendrix Foundation. Strand, E, McCauley, R, Weigand, S, Stoeckel, R & Baas, B (2013) A Motor Speech Assessment for Children with Severe Speech Disorders: Reliability and Validity Evidence. Journal of Speech Language and Hearing Research, vol 56; 505-520. Today I’d like to officially introduce a new professional consultation service for speech language pathologists (SLPs), which I initiated with select few clinicians through my practice some time ago. The idea for this service came after numerous SLPs contacted me and initiated dialogue via email and phone calls regarding cases they were working on or asked for advice on how to initiate assessment or therapy services to new clients with complex communication issues. Here are some details about it. These professional consultation sessions are conducted via GoTo Meeting and includes video conferencing as well as screen sharing. The goal of this service is to facilitate the SLPs learning process in the desired specialization area. The initial consultation includes extensive literature, material and resource website recommendations, with the exception of Smart Speech Therapy LLC products, which are available separately for purchase through the online store. The initial consultation length is 1 hour. SLPs are encouraged to forward de-identified client records prior to the consultation for review. In select cases (and with appropriate permissions) forwarding a short video/audio recording (~7 minutes) of the client in question is recommended. Upon purchasing a consultation the client will be immediately emailed potential dates and times for the consultation to take place. Afternoon, Evening and Weekend hours are available for the client’s convenience. In cases of emergencies consultations may be rescheduled at the client’s/Smart Speech Therapy’s mutual convenience. While refunds are not available for this type of service, in an unlikely event that the consultation lasts less than 1 hour, leftover time can be banked for future calls without any expiration limits. Call sessions can be requested as needed and conveyed in advance via email. For further information click HERE. You can also call 917-916-7487 or email [email protected] if you wanted to find out whether this service is right for you. Below is the recent professional consultation testimonial. I just wanted to thank you from the bottom of my heart for the mentorship consultation with you yesterday. I learned a great deal, and appreciated your straight forward approach, and most of all, your scholarly input. You are a thorough professional. This new service that you offer is invaluable for many reasons, one of which is that it buffers the clinical isolation of solo private practice. I look forward to our next session, about which I will email you in the next week or so. If stars are given, I give you the maximum number of stars possible! The consultations are pure wonderful! 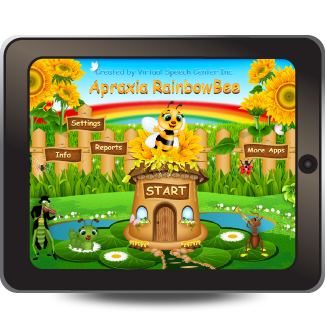 Today I am reviewing a fun new app Apraxia RainbowBee developed by Virtual Speech Center to enhance motor planning for children with speech production difficulties. A little while ago I reviewed “Speech Therapy for Apraxia-WORDS” by Blue Whale Apps. You can Find this post HERE. Similarly to Speech Therapy for Apraxia, the Words version is designed for working on motor planning with children and adults presenting with developmental or acquired apraxia of speech. However, this app focuses on the child producing monosyllabic words vs. individual syllables. There are 9 different word groups to chose from and the words are categorized according to place of articulation of the phonemes and pattern of articulation within the word. 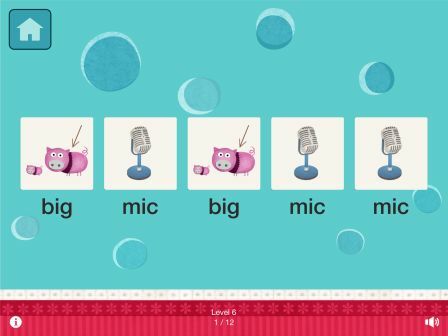 Similar to the Speech Therapy for Apraxia app, the goal of WORDS is to gradually increase the levels of difficulty to improve motor planning for speech. The word groups are arranged in a hierarchical order of complexitywhich is hugely important. Great for drills of CVC monosyllabic words with very involved children. Great for introducing new words into the child’s repertoire. Audio models are provided, which is great for all clients but particularly for very young children. This app is perfect for drills so you can use it in the initial stages of working with children with a variety of speech sound deficits including articulation and phonological disorders. Parents can use this app to practice at home what was taught in therapy. The app developer was kind enough to provide me with 3 copies of this app AGAIN to give away to a few lucky contestants so enter my Rafflecopter giveaway for a chance to check out this awesome app for yourself for free. A few months ago I reviewed an apraxia app I really liked called “Speech Therapy for Apraxia – NACD Home Speech Therapist” by Blue Whale Apps” aimed at the treatment of CAS and AOS in children and adults. That review can be found HERE. The syllables are arranged in a hierarchical order which is hugely important. Great for drills of CV monosyllabic words with very involved children. Great for introducing new sounds. I have 3 copies of the app to give away so enter my Rafflecopter giveaway for a chance to check out this awesome app for yourself for free. 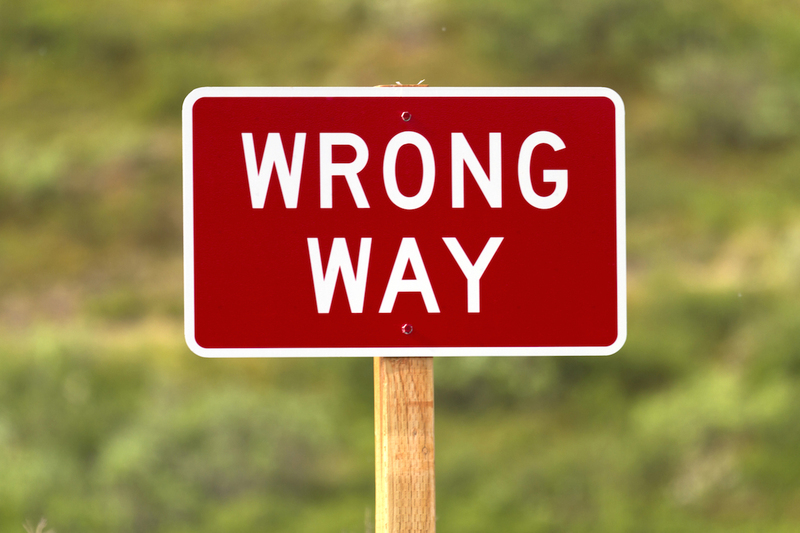 Dear Neurodevelopmental Pediatrician: Please Don’t Do That! Parent: Hi, I am looking for a speech therapist for my son, who uses PROMPT to treat Childhood Apraxia of Speech (CAS). Are you PROMPT certified? Me: I am PROMPT trained and I do treat motor speech disorders but perhaps you can first tell me a little bit about your child? What is his age? What type of speech difficulties does he have? Who diagnosed him and recommended the treatment. Parent: He is turning 3. He was diagnosed by a neurodevelopmental pediatrician a few weeks ago. She recommended speech therapy 4 times a week for 30 minutes sessions, using PROMPT. Me: And what did the speech therapy evaluation reveal? Parent: We did not do a speech therapy evaluation yet. Sadly I get these type of phone calls at least once a month. Frantic parents of toddlers aged 18 months to 3+ years of age call to inquire regarding the availability of PROMPT therapy based exclusively on the diagnosis of the neurodevelopmental pediatrician. In all cases I am told that the neurodevelopmental pediatrician specified speech language diagnosis, method of treatment, and therapy frequency, ALBEIT in a complete absence of a comprehensive speech language evaluation and/or past speech language therapy treatments. The conversation that follows is often an uncomfortable one. I listen to the parental description of the child’s presenting symptoms and explain to the parents that a comprehensive speech language assessment by a certified speech language pathologist is needed prior to initiation of any therapy services. I also explain to the parents that depending on the child’s age and the assessment findings CAS may or may not be substantiated since there are a number of speech sound disorders which may have symptoms similar to CAS. Following my ‘spiel’, the parents typically react in a number of ways. Some get offended that I dared to question the judgement of a highly qualified medical professional. Others hurriedly thank me for my time and resoundingly hang up the phone. Yet a number of parents will stay on the line, actually listen to what I have to say and ask me detailed questions. Some of them will even become clients and have their children undergo a speech language evaluation. Still a number of them will find out that their child never even had CAS! Past misdiagnoses ranged from ASD (CAS was mistaken due to the presence of imprecise speech and excessive jargon related utterances) to severe phonological disorder to dysarthria secondary to CP. Thus, prior to performing a detailed speech language evaluation on the child I had no way of knowing whether the child truly presented with CAS symptoms. Before I continue I’d like to provide a rudimentary definition of CAS. Since its identification years ago it has been argued whether CAS is linguistic or motoric in nature with the latest consensus being that CAS is a disorder which disrupts speech motor control and creates difficulty with volitional, intelligible speech production. Latest research also shows that in addition to having difficulty forming words and sentences at the speech level, children with CAS also experience difficulty in the areas of receptive and expressive language, in other words, “pure” apraxia of speech is rare (Hammer, 2007). This condition NEEDS to be diagnosed by a speech language pathologist! Not only that, due to the disorder’s complexity it is strongly recommended that if parents suspect CAS they should take their child for an assessment with an SLP specializing in assessment and treatment of motor speech disorders. Here’s why. CAS has a number of overlapping symptoms with other speech sound disorders (e.g., severe phonological disorder, dysarthria, etc). These are just some of the reasons why specialization in CAS is needed and why it is IMPOSSIBLE to make a reliable CAS diagnosis by simply observing the child for a length of time, from a brief physical exam, and from extensive parental interviews (e.g., a typical neurodevelopmental appointment). In fact, leading CAS experts state that you DON’t need a neurologist in order to confirm the CAS diagnosis (Hammer, 2007). Furthermore, “NO SINGLE PROGRAM WORKS FOR ALL CHILDREN WITH APRAXIA! !” (Hammer, 2007). Hence SLPs NEED to individualize not only their approach with each child but also switch approaches with the same child when needed it in order to continue making therapy gains. Given the above the PROMPT approach may not even be applicable to some children. It goes without saying that MANY developmental pediatricians will NOT do this! But for those who do, I implore you – if you observe that a young child is having difficulty producing speech, please refer the child for a speech language assessment first. Please specify to the parents your concerns (e.g., restricted sound repertoire for the child’s age, difficulty sequencing sounds to make words, etc) BUT NOT the diagnosis, therapy frequency, as well as therapy approaches. Allow the assessing speech language pathologist to make these recommendations in order to ensure that the child receives the best possible targeted intervention for his/her disorder. For more information please visit the Childhood Apraxia of Speech Association of North America (CASANA) website or visit the ASHA website to find a professional specializing in the diagnosis and treatment of CAS near you. Davis, B., & Velleman, S. L. (2000). Differential diagnosis and treatment of developmental apraxia of speech in infants and toddlers. Infant-Toddler Intervention: The Transdisciplinary Journal, 10, 177–192. Hammer, D (2007) Childhood Apraxia of Speech: Evaluation and Therapy Challenges. Retrieved from http://www.maxshouse.com.au/documents/CAS%20conference%20day%201%20.ppt.